A long time resident of Orillia, Lawrence attended O.D.C.V.I., then the University of Guelph studying Human Kinetics. Lawrence then went on and graduated from the Canadian Memorial Chiropractic College (C.M.C.C) in 1984. After graduating, he did a two year residency program which allowed him to obtain a specialty in Chiropractic Clinical Sciences in 1987. He is one of less than 100 such specialists world wide. After teaching and doing research at C.M.C.C for three years he moved back to Orillia. He took over a practice that was almost 40 years old. Since that time he has spent many hours focusing on continuing education in chiropractic, nutrition and personal training. Dr LaFrance is also greatly involved within the community being a Kiwianis member for 26 years, the past president, a past secretary and a board member. He was on the board of directors and race director for Pine Ridge Ski Club. Lawrence has coached in the Orillia Lakers Rep basketball organization for 15 years and coached the O.D.C.V.I. junior boys team in 2010 and O.D.P. senior boys team in 2015. Dr LaFrance acts as an orthotic consultant for specialized groups such as ski professionals. He has worked with ski professionals at Mt. Tremblant, Blue Mountain and Mt. St. Louis, along with Jim’s ski school (Jim Morris). For 14 years he has also been the team chiropractor for the Terriers Junior A hockey team and Kings Junior A lacrosse teams. Dr. LaFrance has been volunteering on the Investment Committee of the CDC (Community Development Corporation) for the past three years. He is a member of Sports Chiropractic Society, the Ontario Chiropractic Association, Canadian Chiropractic Association and the Canadian Memorial Chiropractic college. He has completed a Sports Nutrition Specialty course. A resident of Orillia, Melanie graduated from Twin Lakes and went on to do three years at Cambrian College graduating in Fitness and Leisure Management. Since joining Optimum Potential in 2000, Melanie has achieved several certifications including her Personal Trainer Specialist and Nutrition and Wellness Specialist through Can Fit Pro. She is also a member of the Canadian Personal Trainer Network (CPTN). In late 2000, she traveled to San Diego, California to do a week long “boot camp” to give her the certification of a Lifestyle Educational Assistant (LEA). She has done several seminars on nutritional and lifestyle management as well has attended the annual Society of Weight Training Injuries Symposium and the annual Reebok seminar. You may have seen her on Rogers Cable 10 as well as the Packet and Times doing a ten week series with John Swartz on nutrition and exercise. Melanie has done several exercise classes including the Tri Sport camp as well as going to the OPP to do some core ball classes. In June 2009, Melanie became certified in First Line Therapy, which is a program to aid patients in making healthy lifestyle choices. In 2017 Melanie went to Las Vegas to attend the annual Parker University Chiropractic Seminar. 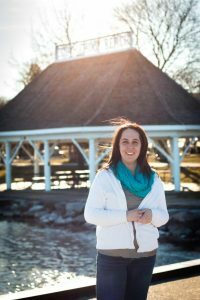 Tina grew up in Bracebridge and has been a resident of Orillia for the past nine years. 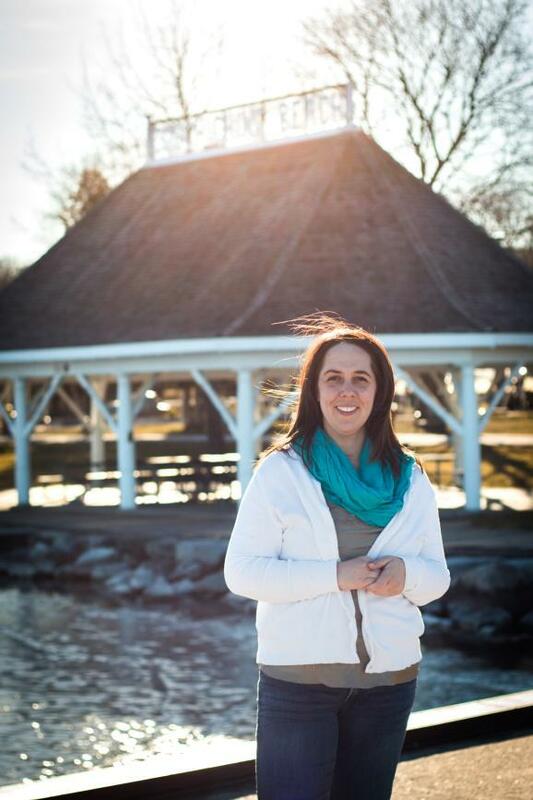 She graduated from Bracebridge and Muskoka Lakes Secondary School and got her certificate in Personal Support Work. Tina recently became a Level II Reiki Practitioner and is registered with the Canadian Reiki Association. In addition to Reiki, Tina has almost completed a course in Applied Crystal Healing. She is now offering these complimentary therapies in our clinic. Linda recently relocated her practice as a Registered BioEnergetic Practitioner from Burlington to Orillia. She brings over 25 years of experience and background in the medical field. Jennifer has four years of Massage Therapy experience working in different clinical settings. She holds a general certificate with the College of Massage Therapists of Ontario (CMTO) and is insured through the Registered Massage Therapists Association of Ontario (RMTAO). She currently works at her second home, Optimum Potential Chiropractic and Nutrition on Laclie Street, in her hometown of Orillia, Ontario with chiropractor, Dr. Lawrence LaFrance, BioEnergetics Practitioner, Linda Vance and Melanie and Tina in the front office. Jennifer is skilled in Swedish Massage Therapy, joint mobilization techniques, neuromuscular facilitation, myofascial release, deep tissue massage, prenatal massage with pregnancy pillows, trigger point therapy, relaxation and stress relief, manual lymphatic drainage and hydrotherapy. Jenn recommends appropriate hydrotherapy and exercises/stretches at the end of her session so that her clients can get involved in their own healing process in the comfort of their own home, office or gym. She educates clients in correcting culprit postures at home, throughout their commute and in the workplace to prevent further dysfunction. This helps keeps clients comfortable between massage appointments. Jenn has experience with clients from the age of newborn to elderly. She has worked with many different diseases, conditions and ailments. She takes a detailed health history including medication and allergies, performs an interview and assessment prior to the hands on portion of the appointment to insure safety for everyone. Enjoy a warm and comfortable massage therapy experience with a range of lotions, oil, music and relaxation techniques….You won’t be disappointed! !